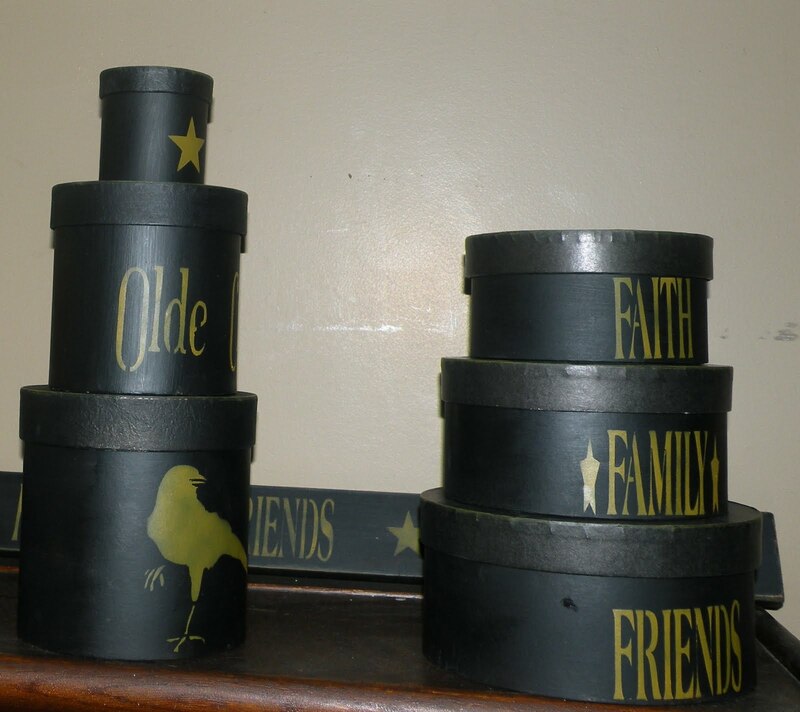 These were a set of nesting boxes I bought oodles of these for my Booth #555. They all had a Christmas theme printed on them and so I decided to change a few up a bit. I once again, painted them my favorite colors, black and prim. yellow, and stenciled a crow on one. I love having a variation of styles for people to choose from in my booth.